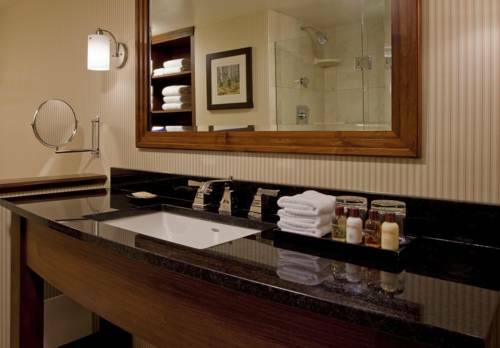 Have an experience like no other at the Sheraton Denver West Hotel. Our Denver accommodations are 100% smoke free and feature signature bath amenities and the Sheraton Signature Sleep Experience. All of our guest rooms have contemporary decor and are equipped with small refrigerators, a work desk and ergonomic chair and views of either the mountains or the city. Room service is available and our suites offer living rooms and kitchenettes. For your convenience, parking and the local shuttle are free. Keep your fitness routine on the road with our Sheraton Fitness Center, take advantage of the heated pool or relax and socialize at the end of the day at Beau's Kitchen & Tavern. If there is anything we can do to make your stay more enjoyable, just ask. Beau's Kitchen and Tavern: Beau's is the perfect place to begin your day or unwind with a drink from our extensive beer and wine list. At dinner, start with calamari napoletana or house-made mozzarella sticks, then feast on grilled salmon or panko-crusted chicken parmesan.